The Arch_Tec_Lab demonstrates how digitisation can contribute to resource-efficient, compact and emissions-free construction. Six professors from ETH Zurich have pooled their research approaches and developed a prototype of the innovative building together. The largely digital planning and construction process took six years and involved architects, civil engineers, building service engineers and construction physicists from six Chairs at the Institute of Technology in Architecture at ETH Zurich. Together, they aimed to investigate how to use digital technologies and collaborative planning processes to contribute to resource-efficient and spatially compact construction. They have created a laboratory with real-world conditions where they can apply their latest findings on a 1:1 scale. 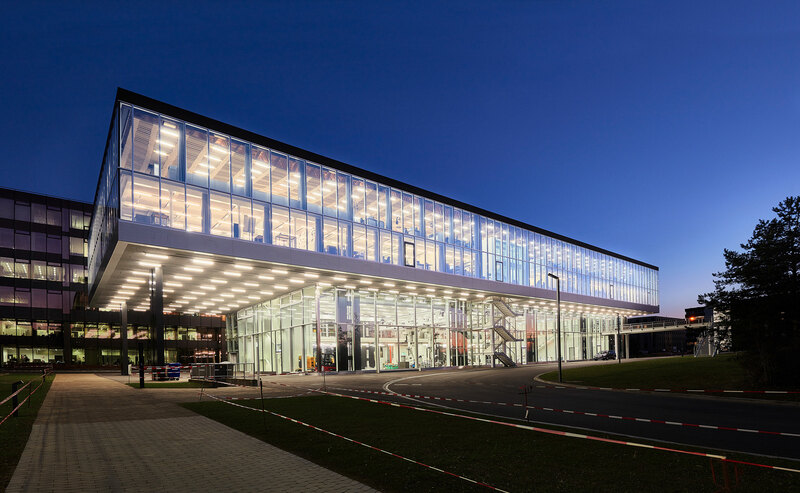 A new building – the embodiment of sustainability at every possible level – has been built on the roof of an existing car park on the Hönggerberg campus and is connected to the existing Department of Architecture building by a skyway. 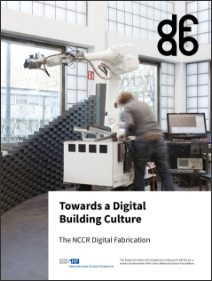 The Robotic Fabrication Laboratory (RFL) is the world’s first research platform for large-scale robotic fabrication in architecture. 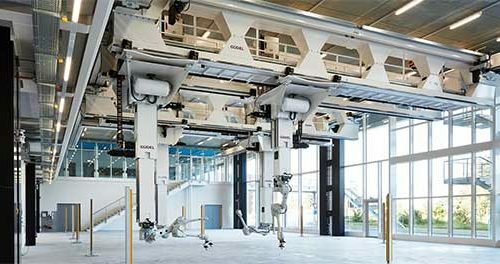 The RFL is a ceiling-mounted gantry system that spans the entire laboratory hall and is able to work across a total volume of 45 x 17 x 6 metres using four cooperating industrial robots. This allows it to carry out experiments in the field of robotic fabrication in architecture on a scale previously unknown and also opens up new fields of research. The RFL is an integral component of the new Arch_Tec_Lab at the Institute for Technology in Architecture (ITA). ETH Zurich is one of the leading international universities for technology and the natural sciences. Founded in 1855, it today offers researchers an inspiring working environment and its students a comprehensive education. ETH Zurich is well-known for its excellent education, ground-breaking fundamental research and for putting its new findings directly into practice. It has some 18,500 students from over 110 different countries, almost 4,000 of whom are doctoral students. About 500 professors currently teach and conduct research in the areas of engineering, architecture, mathematics, natural sciences, system-oriented sciences, and management and social sciences. 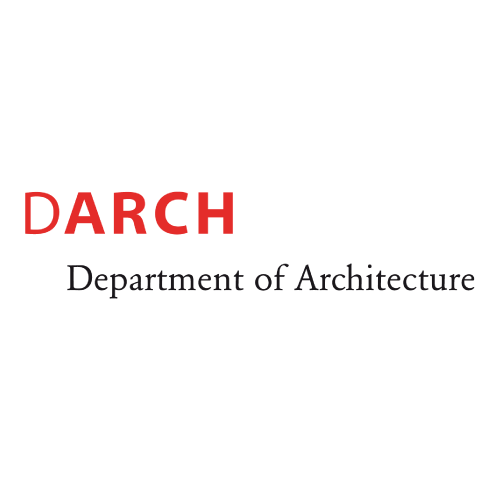 The Department of Architecture (D-ARCH) is one of the most highly regarded faculties of architecture in the world. It owes its prominent position to both the high quality of the teaching and the outstanding results of the research. This well-established approach to teaching and research, representing a long tradition, manifests itself in the structure of flexible design studios that work in close cooperation with the institutes, and it is experienced throughout all phases of Bachelor and Master studies at the D-ARCH as a holistic and open programme. As the most important foundation for the Swiss building tradition, the architectural education owes its success to the fruitful intertwining of the teaching staff’s academic instruction and practical building activity. In its essential significance for the teaching at the D-ARCH, the experience gained by faculty members in their own architectural practices has a long tradition that goes back to the first director of the architecture faculty at ETH Zurich, the prominent intellectual architect and theorist Gottfried Semper. The teaching of design and construction draws its central impulses from building praxis as well as in-house research. Questions of building praxis and their validation in the context of the built environment, taken together with knowledge gained from basic research, combine to become inseparable themes of architectural education.